Montenegro Wild Beauty describes the untouched nature in this part of Europe. Unreal configuration of mountains massif ,that rise directly from the Adriatic sea, make the climate in Montenegro more then suitable for increasing admirable health tourism. Thanks to the breezy Mediterranean climate, natural facts, spring of mineral water ( “Igaljka”) and to healing mud Igalo became the well-known health resort, and within the abundance of beautiful beaches made it attractive tourist place. 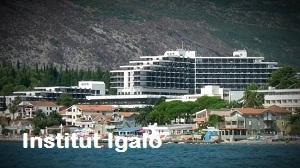 The Institute Igalo is the biggest and most famous institution for multidisciplinary spa treatment in Mediterranean. It is the architect of the modern physical and preventive medicine, rehabilitation, thalassotherapy and wellness, and became one of the leading international centers for rehabilitation of children, adults and elder people. 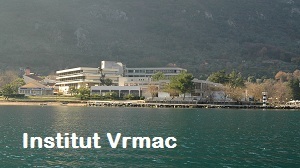 In the bay of Boka ,8 km from the old town Kotor,is localized Prcanj,declared as natural healing resort with the decree by the royal government in 1920. Air currents above the bay influence on vegetation and water, enriching the air with ions, primarily with halogen and chemical substances that salty water contains. Vapors of essential substances mixed with the vapor of salty water enrich the atmosphere with minerals and ions whose positive influence on the respiratory system is medically confirmed.